10/02/2019 In Media Release, OUR PEOPLE, THE LATEST, WHAT'S NEWS? Custodial officers from Lotus Glen Correctional Centre are travelling to Townsville to provide relief staffing for the Townsville Correctional Complex after more than a week of extraordinary flooding in the region. The 10 officers will provide relief staffing for an initial period of one week to allow local officers, many of whom have worked to fill in for staff unable to attend the centre during the flood crisis, to rest and recover. Officers from Capricornia Correctional Centre in Rockhampton will provide relief the following week. The complex is presently housing approximately 1000 prisoners across the four facilities, and ensuring the safety and security of the complex and ensuring prisoners were fed and had access to health care remained a critical requirement despite the ongoing crisis and staff shortages. 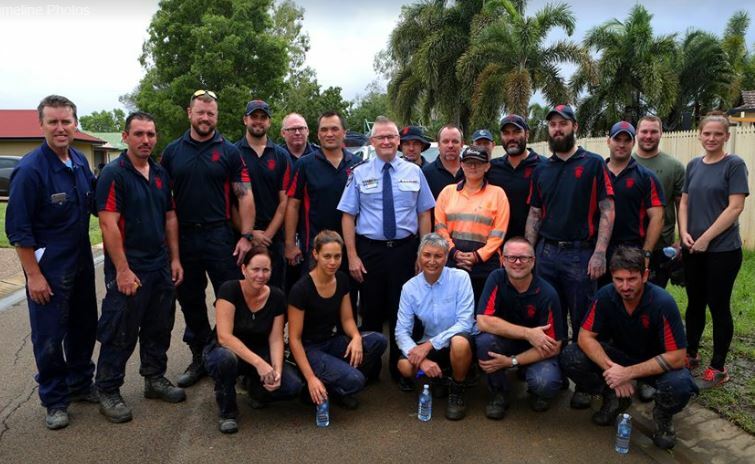 Townsville Correctional Centre employs more than 500 officers with more than 40 officers significantly affected by the flooding, with many more unable to access the centre due to road closures. 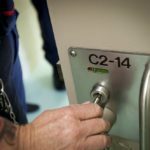 Queensland Corrective Services also has about 60 officers working in community corrections, working with offenders in the community in the Townsville district. Commissioner Peter Martin today visited Townsville to thank QCS officers for maintaining the safe operation of Townsville Correctional Complex during the natural disaster and maintain business as usual in community corrections. “Of course, the nature of our business means we cannot simply shut our doors when disaster strikes, especially one of a prolonged nature such as this, and I would like to thank everyone who has contributed to keeping the community safe by ensuring the smooth operation of the Townsville Correctional Complex and community corrections offices during this time,” Commissioner Martin said. “Sadly we know that a number of our officers have personally experienced significant loss, with houses inundated and property lost. We are undertaking welfare checks with all staff, and so far more than 20 have experienced inundation and significant property loss. “My thoughts are with them at this difficult time. As a department we are looking at how we can best support impacted staff in coming days and weeks. Commissioner Martin took time out from his visit to thank officers from the TCC Critical Emergency Response Team (CERT) and community corrections who are assisting with the clean-up of colleagues’ houses.